As many of you know, Piper loved a good story. She could often be heard saying “once upon a time…” Seems there is no better place to start. She would know. 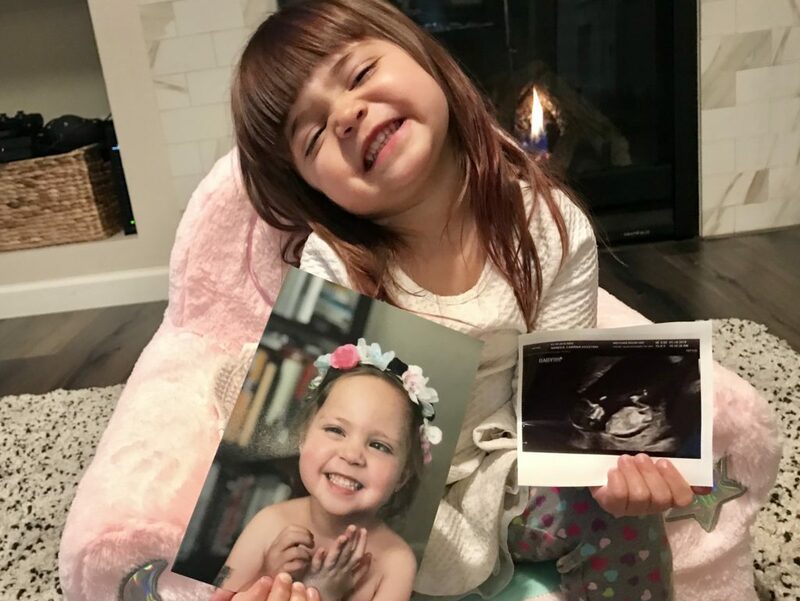 Shortly after Piper’s diagnosis, she began asking for another baby. I can’t remember exactly when she started asking for a brother specifically, but it had been an ongoing conversation for many months before she died. She wouldn’t ask “if,” but “when,” her brother would be here. She explained repeatedly that she already had a sister – who sometimes drove her crazy – so she’d like to try a brother. I explained repeatedly that it wasn’t like ordering a costume from Amazon. Babies took time. Babies took effort and required sharing. Unsurprisingly, she remained undeterred. As for me, it took nearly a year after first hearing the words “terminal cancer” to even consider the idea. I was wounded and still raw. The illusion that I was in control of my life had been taken away. I was reticent to have any more of my heart exposed to a world I no longer trusted or understood. But Piper’s persistence was a force more powerful than fear. Our eventual decision to try again was not a reaction to Piper’s diagnosis, but a lesson learned from it. In a way that only she could, she showed us that love, and those we share it with, are the only things that truly matter. We decided that more of that – not less – would be our way forward. Tragedy shows the world for what it is, a place where wonderful and horrible things happen. Things can happen at any time to anyone. No exceptions for those self-described as blessed. No exceptions for good people, bad people, old or young. Really, this has always been true. It’s just easy to forget. I find that when you choose to keep living and trying even after tragedy reminds you, you live in a truer state. When baby comes in July, his or her arrival does not restore us to a family of four, it makes us a family of five. Piper will always be our firstborn because children are not interchangeable, and they certainly aren’t replaceable. Harlow is excited for the role of big sissy, but she will always be the middle child (and as a middle child myself, I say that as a compliment). Our love for Piper will be our guide. And just as Harlow does, baby will grow up saying her name.